The State of Texas is honoring Tejano music star Gilbert "Gibby" Escobedo for his accomplishments in his music career and his influence on the Texas music scene. The Govenor of Texas, Greg Abbott had recognized and honored Escobedo by flying the Texas flag in his name over the Texas State Capitol building in Austin, Texas. 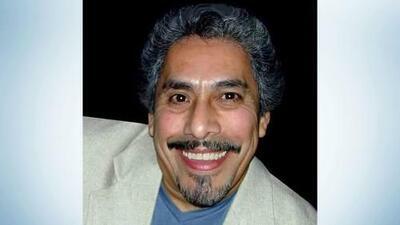 "Gilbert Escobedo, better known to his fans and friends as "Gibby", was born in San Antonio, Texas in 1947. A graduate from San Antonio's Burbank High School in 1965, Gilbert Escobedo is known in the Tejano music industry as the master mind, along with Rudy Trevino who put Tejano music on the map creating the "Tejano Music Awards" along with numerous other music industry shows and events. Gibby has always had a passion for the big band brass sound and along with Rudy Guerra led them to form the legendary Latin Breed Band. His genius helped to launch careers for many famed artists such as Jay Perez, Adalberto and the incomparable Jimmy Edward. Gibby Has had the honor of playing with some of the industries greats including the Del Reys, Sunny and the Sunliners, & Jay Perez to name a few. Never having lost the passion for music he has continued his journey playing with other countless bands and showcasing the horn section sound that still thrills today. I am honored to announced that on Tuesday, August 28, 2018, Greg Abbott the Governor of Texas along with the Texas Music Division is going to honor Mr. Escobedo for his vital influence in this music genre and the Texas music scene. It is due to his dedication as an accomplished saxophonist and his vision that has kept the Tejano music industry at the forefront and helped to make San Antonio the capital of Tejano music today. Please join me in congratulating Gibby as this honor is bestowed upon him."